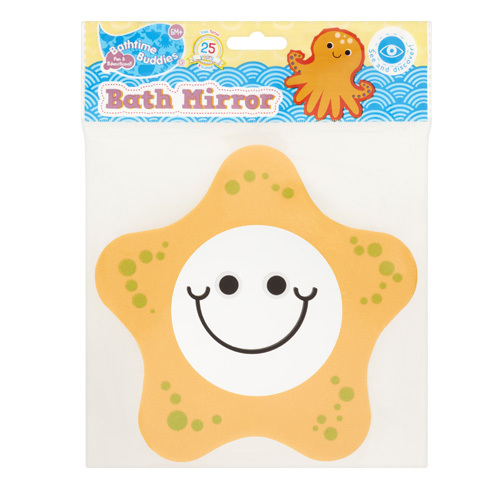 This fun and colourful starfish shaped mirror helps to stimulate your child’s senses whilst using the reflection to create curiosity and self-awareness. When wet, it will stick to tiles or the side of the bath – a great way to keep your child entertained in the tub! Bathing Tip: Make your tot smile when they look in the mirror and see the funny hairstyles you can make when shampooing.